Sports Medicine is great fun and great challenge. With 99% of all sports injuries non-surgical, it is primarily a discipline in rehabilitation. Getting the athletes back to full activity as soon as possible, and with a minimum of re-occurrences of the original symptoms, is the goal of a Sports Medicine practice. It is a world of medicine practiced by many different professions, podiatry being only one. No profession holds more than 50% of the answers to the many challenges facing the provider, so the discipline of sports medicine is humbling at times, and truly team focused. Who are the members of that team? The discipline of sports medicine is very unique in medicine since it has the PATIENT as the primary member of the team not the health care provider. You and the patient work together as a team to work through the challenges from injury to health. This Patient-focused approach can be intimidating to the health care provider and the patient, so it is not right for every patient and every health care provider to practice. Patients may want to go to a sports medicine clinic, but will not have the mind set to do the hours of stretching, icing, physical therapy, etc required. Doctors/therapists may want to practice sports medicine, but really truly focus on giving shots, doing surgery, doing procedures, with no real understanding of rehabilitation. So, how does the student of sports medicine begin to learn the discipline of sports medicine. I will try and put together in these next 2 weeks, the general principles to live by with your own unique spin. Everyone will practice differently thankfully. Yet, there are some basic rules to live by that we will explore together in our limited time. What are the Common Causes of Injuries? Do Not Give Control of Treatments Completely over to Anyone? Find Ways of being Involved, do not be Detached (cry, celebrate, laugh, admit mistakes, work hard for your patients). This skill is first since it is the basis of our treatments and our human interaction with the patient. But, with the time restraints for modern day medicine, with less time mandated by many factors being spent with patients, it needs to be addressed. How do we hold on to the skill that defines being a good doctor/therapist, as it is eroding from the culture? Doctors/therapists have many chances to hold on to this skill--limited time in the actual visit, email correspondence, patient questionnaires that can be filled out, telephone followups even for more information, the use of medical assistants/physician assistants/nurse practitioners/athletic trainors, can all increase our knowledge base on that particular patient. Try to perfect the intangibles: your online education presence, the handouts in your office, the doctors you refer to, etc. It is a world of modern medicine is a world of procedures. This is what pays the bills, and can be the fun stuff we do. Insurance companies pay more for more elaborate tests and modalities. But, armed with all this great medical training, you must ask at each patient visit what is really needed to get the job done with the least risk to the patient. This is influenced greatly by the patient. Can their needs be addressed simply (KISS--Keep It Simple Stupid), or should there be a full court press (throwing in the kitchen sink if necessary). For most day to day patient visit, KISS is perfect. But, simple problems can be very significant to the patient, or may turn for the worst, needing more complexity. And complex problems can be the other side of the coin. Healthy looking patients can come into the office with negative findings, and an attitude reflective that everything is okay, but in deeper probing and listening, are completely disabled. I am standing here at class (at least while I type this) looking well, but due to my back problem, totally disabled from playing basketball, sitting, driving, putting on my pants, shoes, and socks. My ability to minimize my symptoms, to work as well as possible around them, would make my back doctor mis-interpret the level of my disability. This is done every day in every clinic. Symptoms are either over treated (where KISS was more appropriate) or under treated (see post on Good Looking Syndrome). When rehabbing patients, you have 2 scales that you will use consistently to access progress. The pain scale is 0 (no pain) to 10 (most severe pain) is the most common one of the measures used. The functional scale from bedrest (0% functional) to full activities/no symptoms (100% functional) is a lesser used, but vital part of a sports medicine practice. As you treat patients, each visit you will need to assess where the pain and function are at. The goal for most injuries is to attain 80% plus pain relief (pain scale not over level 2 in function) and 80% plus function (full activities with 0-2 pain). For 0-2 pain, can take years to completely go away, and to have an athlete only perform when there is no pain, would be unnecessary. This is considered "Good Pain". It is common for both of these scales to be mis-interpreted. Commonly, the athlete is told to wait on functioning (their sport) while they undergo a treatment to drive the pain down to 0. The treatment is considered successful, until the pain returns with a vengeance as they resume their sport. It is best in most cases to treat while allowing restricted function which you gradually increase while maintaining pain level to 0-2. I always say that I would rather a runner run 1 second per day, then not at all. And if they run 1 second, can they do 2, etc. What Phase of Rehabilitation is the Patient in at Any Visit? What are the 3 Phases of Athletic Rehabilitation? With being said, patients (if they had 3 feet it would be perfect) can be solidly in one phase at one time, or be stradeling all 3 phases at once. It is a goal to work patients as quickly as possible through the phases, but at times, they have to be placed (with imaginary handcuffs to the bedpost) in one phase for an finite period of time. I love to start strengthening as early as possible, and even allow some current activities to continue if I can keep the pain level between 0-2. The daily onslaught of patients I see that should be in Phase 1 but are running with pain 4-7 since they went from Phase 1 to Phase 2 and now should be in Phase 3 with other provider is very common. You just have to start over and re-establish what it takes to maintain Phase 1 pain levels (0-2). Or, the patients that were never placed into Phase 1 and have been painful for years, is another common variation of the same scenario. There is such a plethora of resources out there to grow your sports medicine. Be open minded. Learn from everyone. Definitely, become a member of the American Academy of Podiatric Sports Medicine. Learn mainly from your patients. They live with their pain. They have seen others to seek help. What has worked and not worked. What is the new stretching device you never heard of? When a physical therapist sends you a report on the treatment, go over with your patient anything you do not understand. Be a constant learner, it makes this fun!! Being in a sports medicine and biomechanics practice, you will begin to understand how the body is so interconnected. What I do affects the rest of the body both positively and negatively. I remember my first patient with runner's knee pain coming in for his first orthotic device check. I asked him how his knee was doing, he said okay (not convincing me that the orthotics were helping him), but then a big smile and he said 20 years of shoulder pain while running was gone completely. If I knew more back then, maybe I could have figured out why. Dr Merton Root, modern day founder of Foot Biomechanics, and inventor of the principles behind modern day foot orthotics, once got a big laugh from his students when he said he could tell after his evaluation which of his patients with neck pain would get relief from his orthotic devices. Yes, the foot bone is connected above, and if you seek to understand how someone should walk or run that is stable for their body, and you can help get them there, you may be surprised at your results. We will spend some time in class reviewing some of the basics of gait evaluation. Of course, it applies to more than one activity. It is truly an evaluation of the technique involved with walking, running, race walking, figure skating, ballet, etc. But, since we all walk, and it can be done right in your office, and it seems to reveal a part of the soul of the human body involved with motion. Being able to continue to move, walk, stay active is one of the secrets to great happiness to the human spirit. And, being good at evaluating walking gait, will key you into problems that the patient may have with their running, backpacking, etc. I remember one of my greatest gait evaluation success stories. Ben was a golfer with back pain, not a good combination. 4 years of treatment from various specialities were not helpful. When he came into my office, I watched him walk to see if that would give me you could tell he had either a functional or structural short leg--correcting that is back pain 101 for me. He did have a short leg on xray and he did great, but the main point I want to make is that after I watched him walk and pointed out some things he said in 4 years no one had ever watched him walk! Gait evaluation may be the key to helping thousands of your patients. Weekly I learn something new from some patient that affects my medical practice, but you must be on their level. You must be considered a Teammate that shares info, not the All Knowing Doctor/Therapist that only gives it out. Sports Medicine is a team approach between you and the patient. When you give the patient options, ask what they would like to try first. Guide them but not totally dictate. When treatments are not working, it will be easier from them to tell you if they consider you on their side, and more of an equal. When coming up with a treatment plan, and when your judgment and/or the judgment of the patient does feel that a full court press is needed, the KISS is commonly used. The KISS principle is far from a watered down non-thoughtful approach however. It assumes that the patient will get somewhat to completely better with less than the most sophisticated approaches available. Plus, and not to be under-estimated, it grants you followup visits with the patient to see how motivated they are to do the program, or what findings did they make that may change initial assumptions. If the First Visit was the ground breaker, the followup visits can tell you a lot more about this patient. A common problem with KISS philosophy is that you may know you are following it, but the patient must also know. Many patients leave their doctor's appt with a simple plan, when only partially successful, may feel it is all the doctor/therapist had to offer. So, explain the layering, educate a little from the beginning what the next steps will be. Suggest a routine followup in a short period of time either in person, phone, or email, to make sure both of you are on the same page. Increase the complexity of each treatment modality as you learn what the patient can or can not do. As you can tell this is a big theme of my practice. It works for me, but definitely not with all of my patients. Many patients do just want to be told what to do. Many patients just want to tell you what they expect you to do. One small example is with the barefoot runners. Many times in the last year with this barefoot running craze patients who I think need orthotic devices tell me that they will try anything but orthotics since they want to keep their feet strong, even when I think orthotics used in the short term would speed up their progress. They are being honest with me, and I try to be honest with them. Try always to work around differing opinions, and you may be surprised you are not always right. Take your patients as they come. Most very different but very much the same as you. Individual needs should replace protocols unless you feel that their safety is in jeopardy. This rarely occurs. For those of you who want to read some fascinating, and eye opening personality categories, read a book on the Enneagram. It means 9 Personality Types. It means that 9 people could sit in a room with a problem and come up with 9 very different solutions. Always consider that your patient will look at the problem different than you and just needs your guidance on good sound options for them. Every treatment modality you use, can be modified. Every treatment modality, has multiple layers of complexity. Learning and mastering the modalities you use daily will bring you great success as a health care provider. If I ask a patient what they are doing to help their injury, a generic response may be icing, better shoes, strengthening exercises, and physical therapy. Most health care providers would leave it that since it sounded very well thought out---anti-inflammatory, mechanical changes, strengthening and expert help. But, it is fun to probe into each modality, and you definitely have to if they are not improving or getting worse. How are they icing? Can you recommend any changes, or should we switch to contrast bathing for the swelling problem you can see? How did they select their shoes? Do they feel better in the shoes, but only walk 30 minutes per day in them? Are the strengthening exercises hurting them? Are they the right exercises? A blatant example I commonly see is patients with posterior tibial tendinitis strengthening the anterior tibial tendon and not engaging the posterior tibial tendon. What is the physical therapist doing for them? What are the good aspects of the treatment, and what should be modified? Be curious, and keep learning. The emphasis here is on teaching. Some of you will be natural teachers, others not. But, that is what staff is for. Train your staff well in areas you are lacking, we all lack something vital and need help. Delegate, but remain committed to this education. This blog is to educate my patients and others. Our physical therapists helping me can take more time than I to educate. The running shoe stores you refer to must be known to give good advice---teach all your patients at least to Power Lace. Make handouts. Write Lists. Remember the average patient only remembers 30% of what is told in a medical office visit. Give them your email to ask more questions. Be Friend them, if they want, and most do. If you have ever visited Dr Richard Green's office in San Diego, you would know what I mean. His patients were all his friends. Quite impressive role model for me. I make a lot of referrals. Modern medicine is getting away from the concept of primary care giver who knows all--except in the concierge practices now growing. I do only a mediocre job at followup. I am always striving to be better. I want to know what others are saying and doing for my patients. Do not be embarrassed to disagree with another. If the patient is doing better with a referral and trusts that individual, great news. If things are rocky, and improvement slow, analyze what is going on closer for your patient. Help them as much as possible. Be a loyal teammate who has their back. Podiatrists are foot people. We dedicate our whole lives to make feet happier. Understand all the functions of foot inserts, both custom made and over the counter. I have never found an insert that did not have some value. Some patients need fairly generic inserts to support and cushion, others need very specific support, and others need only cushion. Know what is readily available. Think outside the box and modify inserts for even better symptom improvement. What powerful mentors you have here in Drs Dutra and Choate. Go seek out the local podiatrists in your area, and the current members, fellows, and board members of the American Academy of Podiatric Sports Medicine. I think we are all pretty smart sounding when we first meet a patient. The first visit, with questionnaires, a lot of action, gait exams, initial prescriptions, etc, is pretty easy for most health care providers. You learn a little about the patient, and you start action. But, it is the followup visits that the true art of medicine is practiced. You learn more about the patient, and them about you. Your listening skills, their response to treatment, your problem solving if there is problems or no improvement, their willingness to do all the treatments you outlined (like ice 3 times per day), and back and forth your team is made. I love flow charts to organize treatment for patients. One of doctors is a master at it. I have the natural rhythm of an injury rehab flowing in my head so that I can evaluate each patient's progress with it. Find Ways to be Involved, Do Not Be Detached!! What are the five common biomechanical problems normally treated in a sports medicine practice? Explain the 80/20 rule in athletic rehabilitation and how it correlates to the pain cycle. What are the three classic phases of athletic rehabilitation and explain how they can blend together? Explain what tissues at the knee are stressed when a patient excessively supinates. For every treatment modality, there are many layers of treatment going from simple to complex. Explain how this can be applied in a case of a patient with achilles tendonitis. Hola soy de Argentina! Cómo﻿ puedo comprar estas plantillas. Tengo Fascitis Plantar en los dos pies. Por favor es urgente, espero su respuesta gracias! Hi I'm from Argentina! How I can buy these templates. I have plantar fasciitis in both feet. Please it is urgent, I hope your answer thanks! You need to purchase 1/2 inch medium pink density and 1/2 inch rigid white density. These are glued together before heating in a convention oven at 400 degrees F until the material softens (within 1 minute) and then pressed in a vacuum press for 20 minutes around a foot mold of the foot. This patient is my patient on her honeymoon backpacking in some remote place and sprained her ankle. We already had one correspondence. Thanks so much for the advice. By the time I received your email, the X-ray facility was closed for the weekend so we moved on. We got back on the bikes and I was able to pedal big miles and hike small miles, but your advice of X-ray did haunt me a bit. The stable motion of biking caused me almost no pain at all, but my ankle did worsen after one 5 mile hike...it really exposed the pain and weakness of my limited range of motion. I haven't been improving much since that setback. I can walk on even surfaces with zero pain, but it is painful if I bear weight at a slightly different angle (stairs, kneeling, dirt roads, etc). It has been just over 4 weeks since injury. Last question, I promise...should I see a doctor? Do you think it unwise to continue my very slow self-healing program of limited activity, occasional ice, and gentle ankle stretches? I visited you this past Friday morning and took a look at your website for the first time today. It does have a video of the "easier" arch taping method, using the stretchier tape, but not the more difficult method that you recommended for jogging. I am finding the instruction sheet somewhat hard to follow and I thought you said there was a video showing this method as well? Can you let me know? P.S. You did not tell me if I should schedule a follow-up visit or when I should do so. If you have a chance, please let me know. Thank you! First off, thank you so much for your Blog. I've learned more about my injury from you there than I have from any of the podiatrists I've seen so far. I am hopeful to try your suggestions to alleviate some of my pain. I initially broke one of my seasmoids nearly 10 years ago. At that time, I did the whole "orthotics, restrict activity, cortizone shots" etc... It continued to hurt for several years as I am a very active individual. Eventually the pain dulled to a mere annoyance, and most days it didn't bother me at all. However, a few months ago, it started hurting again. At times the pain is excruciating to the point where I can't walk. I went to a podiatrist and after x-rays he feels the only real solution is to remove the bone. My insurance won't cover custom orthotics, cortizone shots or other prescription medications to manage the pain, so I am limited with my options. I also have dietary restrictions so taking supplements, including calcium, is not an option for me (perhaps contributing to the re-aggravation of the injury?). I am a dance instructor, and not only do I rely on the income from that, but I'm pretty sure I would go crazy if I had to stop because it is what I love. My podiatrist assures me that the surgery will be quick and easy, and that recovery time will only be 4-6 weeks. After 10 years, what are the chances of being able to rehabilitate the bone again? Are my only options really either surgery or living with the pain? 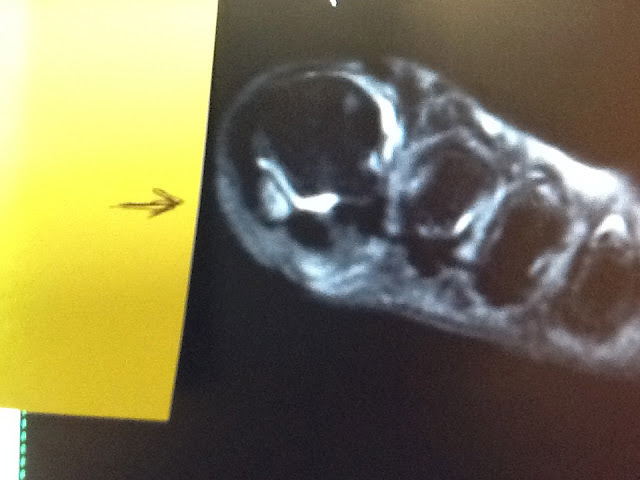 MRI image of the bottom surface of the first metatarsal showing the tibial sesamoid inflamed but no metatarsal involvement making the injury more serious. Ever year the podiatrists at my office get together and design a shoe list of stable shoes within most athletic categories. This year we have some new categories including Transition shoes for beginning barefoot runners. For the dress shoes we only mention shoe brands that have stable shoes since there is just too many. I want to personally thank Dr Jane Denton for 90% of the work and our friends at Shoes n Feet in San Francisco for their feedback. I am hopeful this helps you find the appropriate shoe for yourself. Please also see my videos on the Shoe Flexion and Shoe Stability testing. And Remember to Power Lace if the shoe allows!!! The 2 photos below are of a patient who presents with an ankle sprain. Initial treatment for swelling and pain went well, but after 6 weeks the patient was not back to normal activities. The sprain was the usual type where the foot and ankle are inverted, but there was a fall afterwards which can produce more force. The patient did not remember what the ankle did in the fall landing forward and to her side. Initially the entire ankle was sore--laterally, anterior, posterior, and medially. It was the patient's first sprain, so she had nothing to compare this injury to. She was placed in a removable boot and on crutches. It took 3 full weeks to get safely off the crutches to full weight bearing with no increase in pain, and another 3 weeks in the removable boot progressing to full day to day activities without any flareups. An EvenUp was used with the boot on the other side to balance the hips. Physical therapy was done twice weekly from the onset to reduce swelling, and get the range of motion and some strength back. By six weeks, there was still some limited inversion which is common, but she was very sore when I plantarflexed the ankle (pointed her foot) in the back of the ankle which is uncommon in a typical sprain. The initial xrays taken at an ER were reported as negative, but I never saw them. Here are the 2 side views of the ankle at 6 weeks showing a fractured Steida's Process of the talus in the back of the ankle. This is a side view (lateral view) of the ankle showing the front and back of the ankle well. The marker is placed above the injured part of the talus which is it's back and lateral most prominence. When the ankle joint points too far (plantarflexes or bends downward), this prominence called Steida's Process can get damaged. Since many patients have this bone normally in a separate piece never completely fusing to the parent bone(called an Os Trigonum), many times, including this time, the xray was read as normal with the presence of an Os Trigonum. Here a blowup image of the area shows the jagged edges between the 2 pieces typical of a fracture not a extra bone like the os trigonum. If the piece of bone is an normal accessory ossicle, the borders between the bones are normally curved and smooth. Due to the possible surgical implications of having to remove this bone if the symptoms continue, either a bone scan or MRI is needed to confirm the diagnosis. Pain on plantar flexion of the ankle in this area, coupled with this xray, should be enough to go on at this point. To protect the bone, the removable boot will be left on for the full 3 months, and forced range of motion around the extra bone will not be done in physical therapy. The physical therapist is now notified that we may be dealing with a healing fracture, so the "no pain, no gain" rule commonly imploded will not be adhered to if the pain is coming from this area. This is one of the most common problems in young ballerinas. If they are unlucky enough to develop this bone in the back of their ankles (starts forming around 8-9 and fully formed 14 or so years old), this could give chronic pain in the back of the ankle as pointe work is being accelerated. The goal with this patient will be to calm down all the inflammation, rest the ankle for a total of 3 months removable weight bearing cast, then 2-6 week attempt at weaning out of the cast with an ASO ankle brace maintaining a pain free environment, build up the walking up to 60 minutes then a walk/run program. She is to avoid pointing the ankle, such as sitting back on the foot while kneeling. The sensitivity in the back of the ankle could take 2-5 years, but many patients can avoid surgery and return to full activities over a 6 month period. I have considered, but not used, a bone stimulator for this problem, but it is not contra-indicated. As with any fracture, diet counseling on Vit D, calcium, and also bone density history should be done so that the patient has the best chance of healing. I so wished I lived closer to you, I would visit you in a heartbeat. I hope you can help me with these problems. History of Hallux Rigidus both feet, right one especially bad. I have had custom orthotics made at two different provides. 1st pair. Person handed me them and said "let me know how they work out." not asking for help. I did not realize how things were suppose to work. so when I extend my foot in stride, the top part of my toe drops down. I tried to get them in a shoe when I got home, and they did not go into my shoes, too big. 2nd pair. Person very professional, tried fitting them 3 times. The arch is really high. or the length of the toe, and then is covered in very light material. and seems more reasonable. But then there is the toe problem. Is the toe extender suppose to extend all the way to the top of the orthotic, or top of toe? Dr Blake's comment: Yes, the plastic toe extender, when used, needs to go to the end of the toe. Is shaving the arch on the bottom of the orthotic actually going to lower the arch? Dr Blake's comment: Yes, shaving the orthotic on the bottom softens the arch support, allowing it to lower with pressure. When I walk, show I be feeling the arch digging into my foot? Dr Blake's comment: No, pressure is fine since it is an arch support. But digging implies too much pressure, and should be changed. I love to err on too much arch support over not enough when ordering, because it is easier to take away than to add. Should I be feeling the weight of my walking evenly distributed throughtout the stride? Dr Blake's comment: Typically, but if you pronate too much, then the orthotic will have more arch pressure, if you supinate too much, the orthotic will have more pressure laterally (baby toe side). The goal is to center your foot position, not necessarily even the weight distribution, but striving for both is nice. It seems like I need the best of each two orthotics. Dr Blake's comment: Sounds like the second one, designed by the more professional provider, is going to work with perhaps another adjustment or two. Please, any help you can give me would be wonderful. I have spent so much money on these, I sure hope one of them can be made correctly. I am certainly willing you give orthotics a real try, I don't want to have surgery. First off, thank you! Your blog as it has been very helpful during my personal healing process. (didn't want to take an extra 10min to go home to get my real gym shoes). and was put into a CAM walking boot with a dancers pad. I also started with an Exogen bone stimulator 1-2 times per day on November 1st. I never got an MRI, but my x-rays showed improvement during every 2-week checkup. with a flat carbon fiber insert and dancers pad. I was fully out of the boot and things were feeling pretty great with the carbon fiber insert. I tried MBTs but did not like the instability in the heel. I was told that I was cleared to begin riding a bike (with my insert). but on my ride home, the sesamoid unfortunately began to hurt. 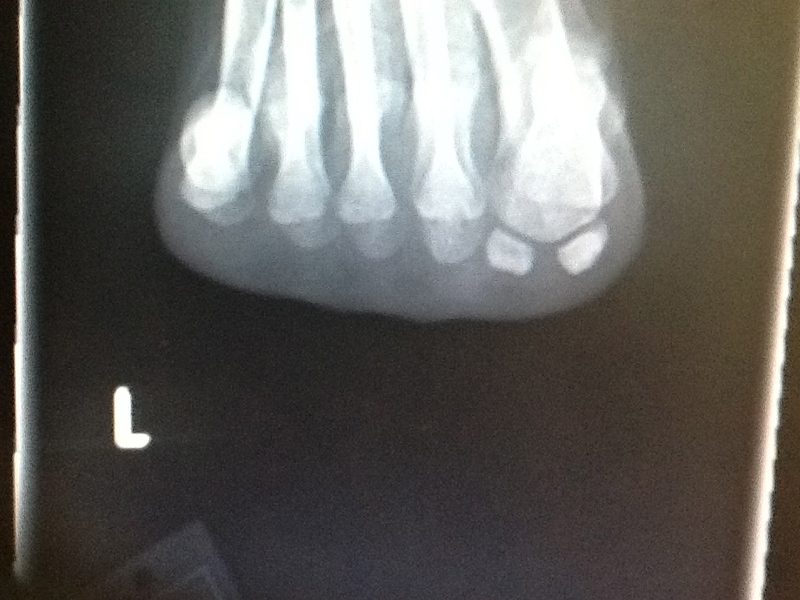 and that I had not "fully refractured the sesamoid". and told me to begin icing again and stop riding the bike (though stationary is alright). of the original fracture and to get a checkup in 2 weeks. and I was finally seeing the light at the end of the tunnel until 5 days ago. I am continuing with the bone stim, icing, and now back wearing the boot here and there. I just wanted to know your thoughts on this. Should I be back to the boot? Should I have an insert made that has a slight curve (vs flat) so it fits in a shoe better? Do you have shoe recommendations? without having done major damage? determine additional fracture and prepare for months back in the boot? Given that's it's been 5 days of pain, I'm concerned that this is more than inflammation. Hey Luke, thank you so very much for the email. Unfortunately, I have many patients on this roller coaster with you. look on an MRI, but it is okay to go for now without one. It can take two or three flareups to look for a pattern. With each flareup, you must re-create a pain free environment ASAP. Definitely do 9 months on the bone stim. Ice twice a day for 10-15 minutes for the next year, whether it hurts or not. Experiment with the different inserts for stiffness and off weighting. the joint is not perfect for a few years (if ever). to more normal shoes with each flareup. 5 days is nothing unfortunately, and does not mean anything serious. starting daily pain free foot strengthening exercises. you really begin the ReStrengthening Phase. Hope this all helps some. Hang in There. I did tell this story today about listening and asking questions. My patient Deborah (real name from 1982) had injured her big toe joint and was in severe pain. I immediately recommended surgery which I thought was the correct call, but she resisted. For the next 4 months, Deborah and I tried shots, manipulations, casting, all in severe pain. Nothing worked. Deborah finally came in one day and agreed to have surgery. After surgery, where a piece of fractured bone was removed, was all over, and she had completely recovered and was painfree, I was sitting with her one day in Physical Therapy. Then, and not before, I asked her why she had waited so long (as a 30 year old) in severe pain, to have surgery, knowing how much pain she was in. Deborah said she had been afraid of doctors and surgery for a long time. When Deborah was 4, her 2 year old brother went to surgery for an emergency appendectomy, and died on the table. I learned a lesson that day. I had been a good listener, but I did not listen to what was between the lines. So, even though Deborah non-verbally was telling me to go deeper into her story, I was not ready to do so. To make matters worse, Deborah was really afraid of General Anesthesia where you are put asleep. My surgery was with a local block, and she was awake and comfortable. We had never talked about the type of surgery I would be performing, as we attempted some form of conservative treatment. If I had only told her that 4 months before. So, I try to spend as much time with each patient. Listening to every word. Listening to the clues they provide in what they say and don't say. And times, it is what they don't say that is the most important. Foot Nerve Pain: Does It Always Start in the Foot? Yes, it was my birthday on 1/9. My great Medical Assistant Shawanna surprised me with a cake. This Standing AP Pelvic Xray shows that the right hip is 6 mm or 1/4 inch short with compression of the right L4/5 disc which can lead to pain in the nerve's distribution in the foot. See how the marker at L4/5 disc shows right side compression with lean of the lumbar spine to the right. This patient has Morton's Neuroma pain in the right foot in the 3rd metatarsal area, consistent with L 4/5 nerve pain. The same patient above has a collapsed metatarsal arch also leading to possible nerve irritation at the foot level. The yellow line from the bottom of the 5th metatarsal to the bottom of the sesamoids should be the lowest points in the metatarsal arch. See how the 3rd and 4th metatarsal heads fall below this plane in your Plantar Axial Foot Xray. This patient could easily be irritating the nerve at the back and at the foot causing a "double crush syndrome." I hope you are fine. Firstly I want to say that your blog is really great. I am 28 and female. To talk about my problem I've been dealing with a sesamoid fracture for 3 months. Firstly the doc gave me an orthotic that I used for 2 months but it only had an arch support nothing else. Then I noticed it is not better at the end of 2 months then I went to another doc who suggested me to put a metatarsal pad on the orthotics. I used it for 2 weeks but it didn't get better. Then he put me on aircast and told me to use one crutch on the opposite hand while walking. I tried it for a week and I wore a flex aimed metatarsal sleeve inside the cast. One day I noticed the sleeve avoided the circulation and I felt numbness in my big toe, and it was swollen. So I started to use 2 crutches with no weight bearing at all. I put an orthotic with a j shaped pad under it. Now it hurts if I don't keep my feet warm. But coming from my childhood they freezes all the time. What do you think about no weight bearing? Dr Blake's comment: The main goal is to create a pain free environment. That is maintaining with a sesamoid injury level 0-2 pain for 3 months. You do whatever it takes to get you there: Aircast, orthotics, padding to off weight, crutches, activity modification, etc. About orthotics do I need a metatarsal pad or that j shaped foam? Dr Blake's comment: You need to see if one or both are better for eliminating or reducing the pain level. Sometimes, I have 3 or 4 pads of different shapes on my orthotics to get the best results. Does my situation mean I newly started the treatment and lost 3 months? Dr Blake's comment: You start the countdown towards healing when you have consistently kept the pain level between 0-2. Sesamoid fractures have some rules, but can also make up there own along the way in terms of time and what is needed to help. One day at a time unfortunately. I am afraid to tape my toe because of poor circulation. Dr Blake's comment: The standard Spica Tape described in my blog should not cut off the circulation. Definitely use Kinesiotape which seems to be the safest. You can take it off before bed each night to be extra careful. And is it bad to move the toes? Dr Blake's comment: Definitely not, you need to keep the joint from freezing up, the toe version of a Frozen Shoulder. Movement with pain is a different story, but I know you can move them without pain. I ll be glad if you can answer me. I am a 39 yr old triathlete & soccer player. I've run 3 marathons. This past summer, I raced my first half Ironman. I knew going into training that my PF (plantar fasciitis) was bad. I've had it for over a year in my left foot. I just recently completed 5 extracorpreal shockwave treatments. I've been wearing a walking boot for 6 weeks. Dr Blake's comment: ESW are treatments designed to create a new injury (with a chance to heal), from a old chronic injury that does not appear to be healing. How the patients are selected and at what stage of their injury they are treated appears to be quite random from doctor to doctor. I have not seen a good study documenting MRI findings and success rates, so it is difficult to know who is benefitting and who is not from ESW. The basic principle of ESW is to create a new injury and everyone knows that a new injury should be treated with a period of immobilization which is not happening with this technique. Though incredibly expensive, I chose the ESW because it healed my right foot several years ago and my doctor stated that I'd be able to workout the most w/ this option. While the PF is improving, I still have a great deal of pain, especially after rowing, which I thought was "safe" exercise. I am considering new options: laser treatments (again uncovered by insurance) or surgery with plasma injections. The latter is the only treatment covered by my insurance, but I was initially told that I would not be able to do any exercise--swimming, elliptical, cycling--NOTHING--for 10 weeks. Is this true? I haven't seen anything online that calls for such a rest period. Dr Blake's comment: I am sorry I am unfamiliar with these techniques other than what I read also. My recommendation would be to get an MRI to see if the plantar fascia is torn or not. If torn, a removable cast with some activity is important. If not torn, what is causing your continual pain? fracture? nerve entrapment? scar tissue? poor biomechanical or other treatments? I do not want to do the fascial release. It scares me. Dr Blake's comment: I agree, fascial releases can go very well or very poorly with life long consequences. Think long an hard before going there. I am really committed to healing my foot, but also want to be back playing soccer and training in March. I feel time is ticking and my wallet is feeling the pain as much as my foot! I am a 45 year old mom. Nine weeks ago I twisted my right ankle while stepping up onto a grassy curb. I began icing and elevation immediately. The next day, my foot was x-rayed with a report that there were no fractures. I kept up the ice and elevation, used crutches, but still couldn't support my weight on it three weeks later. Another x-ray. This one revealed an avulsion fracture of my cuboid bone. A week in a splint. Today the cast was removed. I will begin contrast bathing tomorrow. I am still using crutches and have a lot of swelling, but my main concern is that I have pins and needles on the bottom of my foot. Ever since the initial accident, I have had swelling and a numb/tingling sensation at the base of my middle three toes. The doctor told me that it is probably a neuroma due to trauma. He suggested that massage could bring relief, and I should check in with him in four weeks. Do I need to get an MRI or should I just take it easy and see how I am doing in a month? I wonder if I should go to a fracture clinic for a second opinion or just chill. Any thoughts? Thanks for the email. If there is swelling post injury, the pressure from the swelling pushes on the nerves and gets them excited. Numbness and tingling is a common sensation when that is occurring and that would be the most obvious explanation. Twice daily you should be doing contrast baths, and another 1-2 times 15 minute ice pack to reduce the swelling. 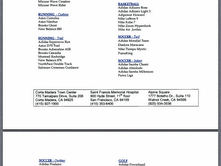 See if you can get some compression socks/tubing from the doc or physical therapist. While you are doing the warm water part of the contrasts, move your foot around to get the circulation going. Once an hour do 10 ankle pumps (moving the ankle up and down) to get the circulation going, and elevate your foot AMAP when you can.